I am so thrilled that it finally feels like the spring season is in full swing and that the warm weather is finally here to stay, thank goodness. With the month of April almost over I couldn’t resist the opportunity to make a playlist including some great songs that have been playing on the radio recently. To download my April Playlistclick here! I hope you have a blessed day as well! That is my favorite song right now! 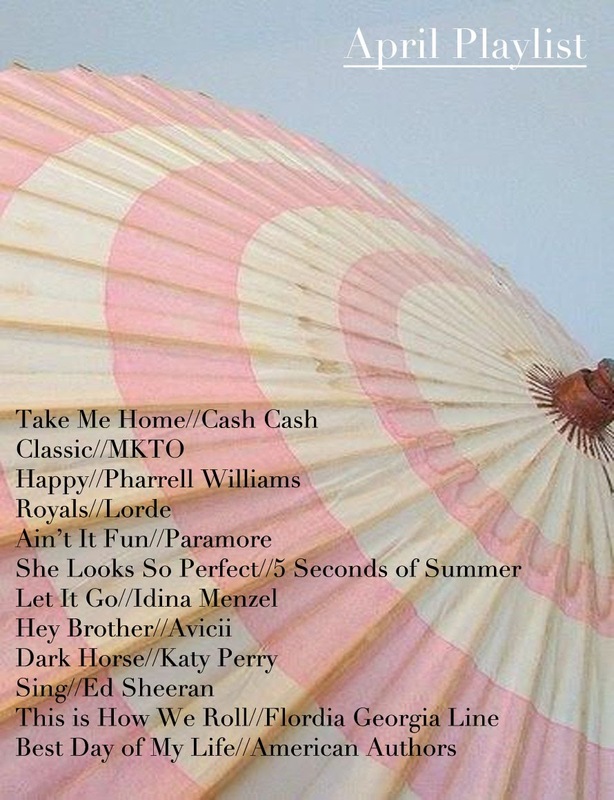 I am loving all the upbeat songs that are out right now! Happy to hear you enjoyed this playlist! I'm going to have to check these out! I know some, but I'll certainly be firing up the itunes store tonight! It is such a catchy song! Totally loving your list here!! Nice list! Love Florida Georgia Line...they are great in concert! They have some great songs! I really like that song! Happy to hear you enjoyed this playlist! I just did a playlist post of my own! But none of our songs are the same! haha Love your choices! Thanks for sharing, Lauren! and love that photo you chose with it!